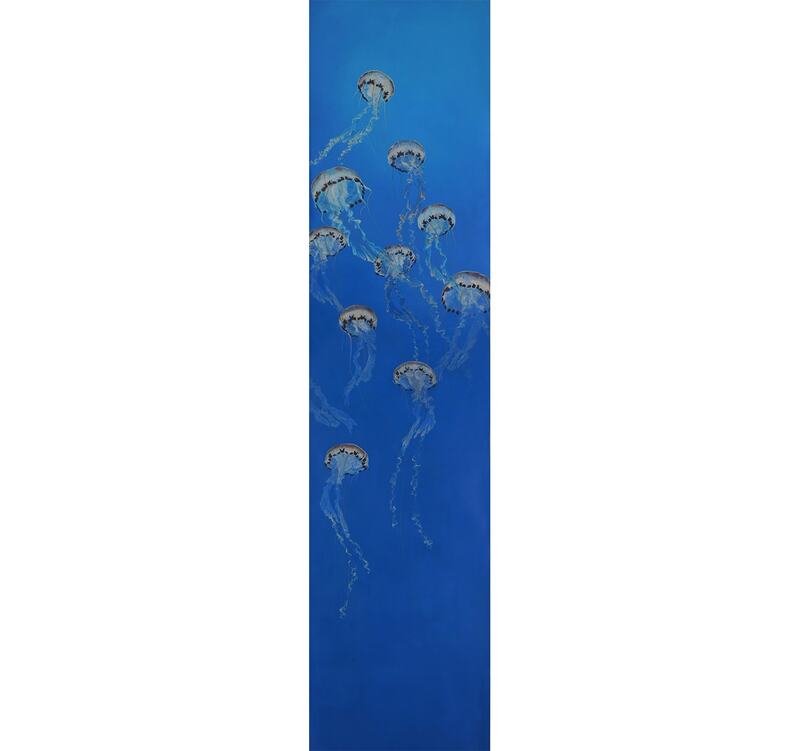 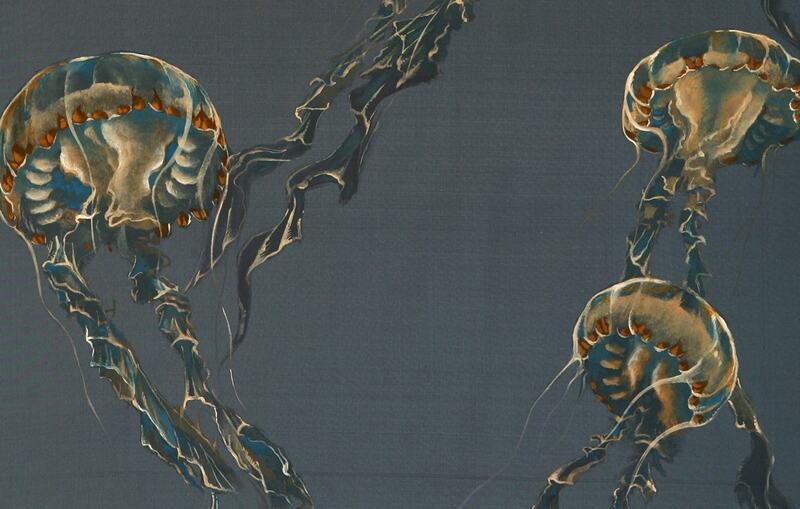 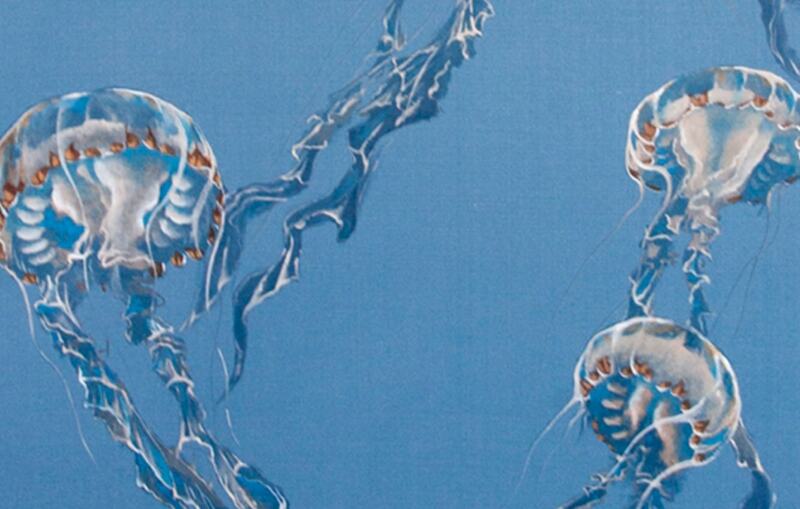 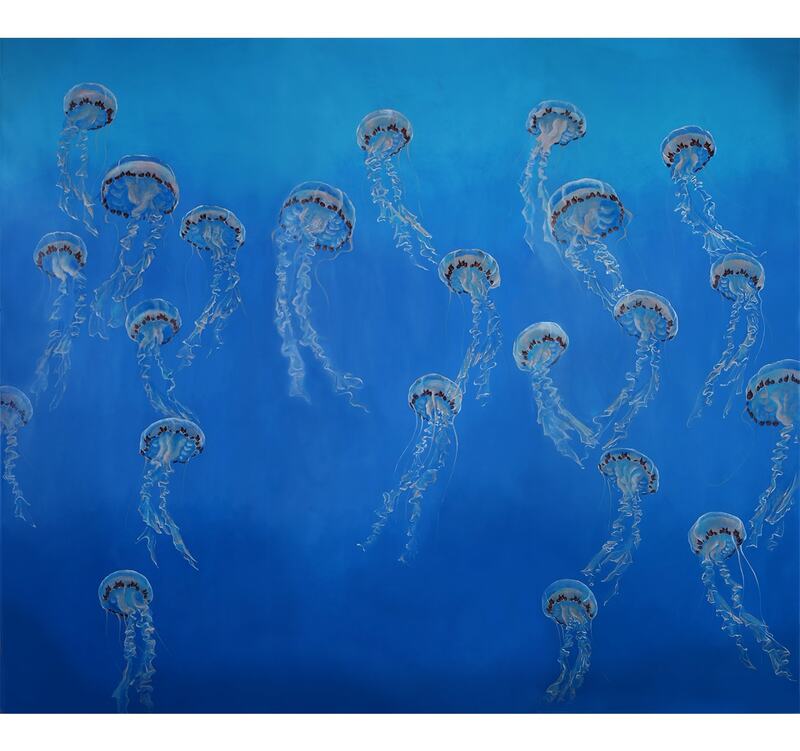 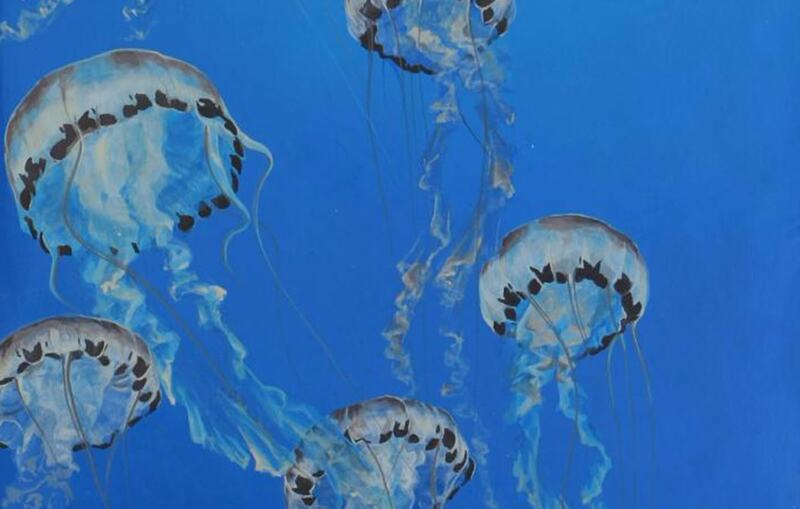 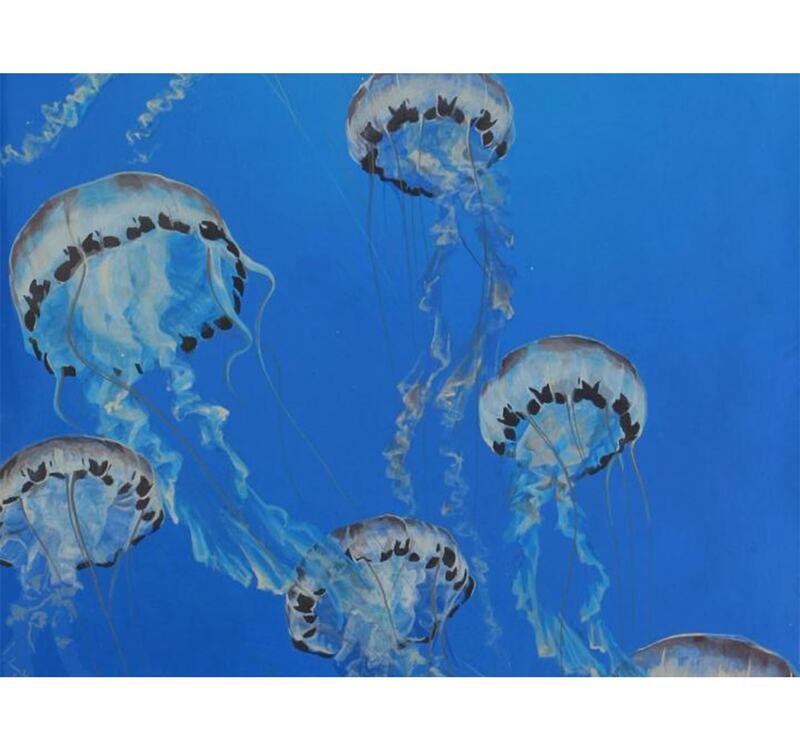 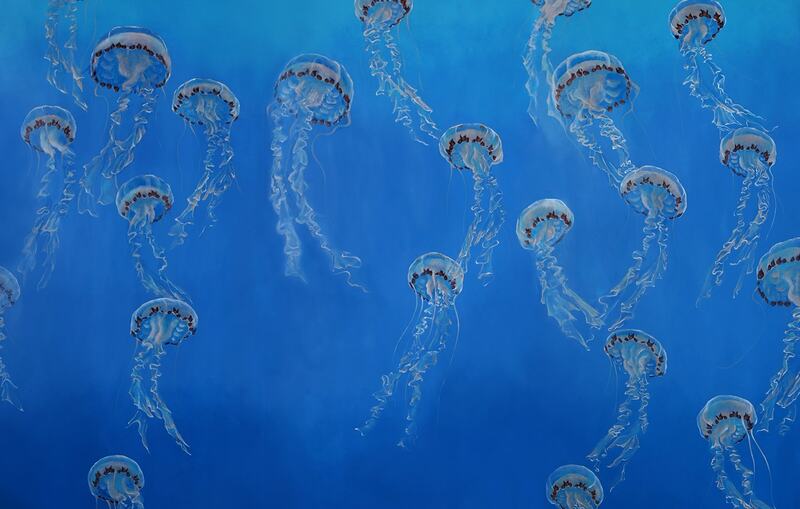 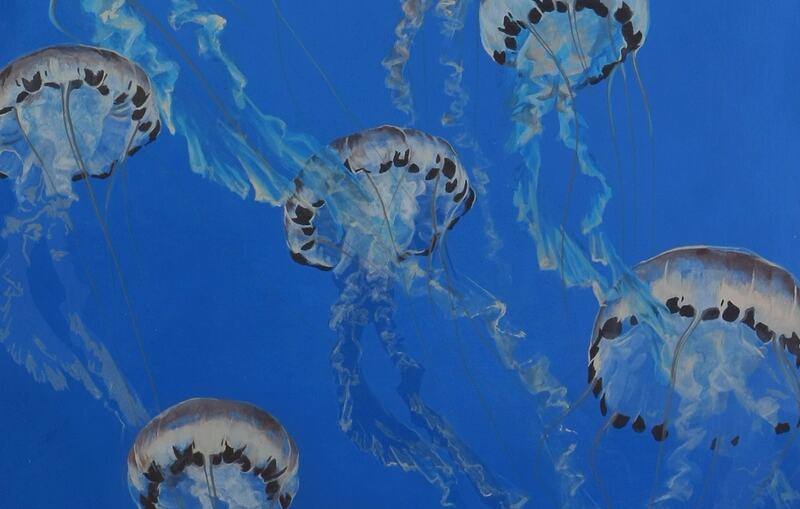 The mesmerising movement of jellyfish is depicted in this stunning, nautical themed surface. 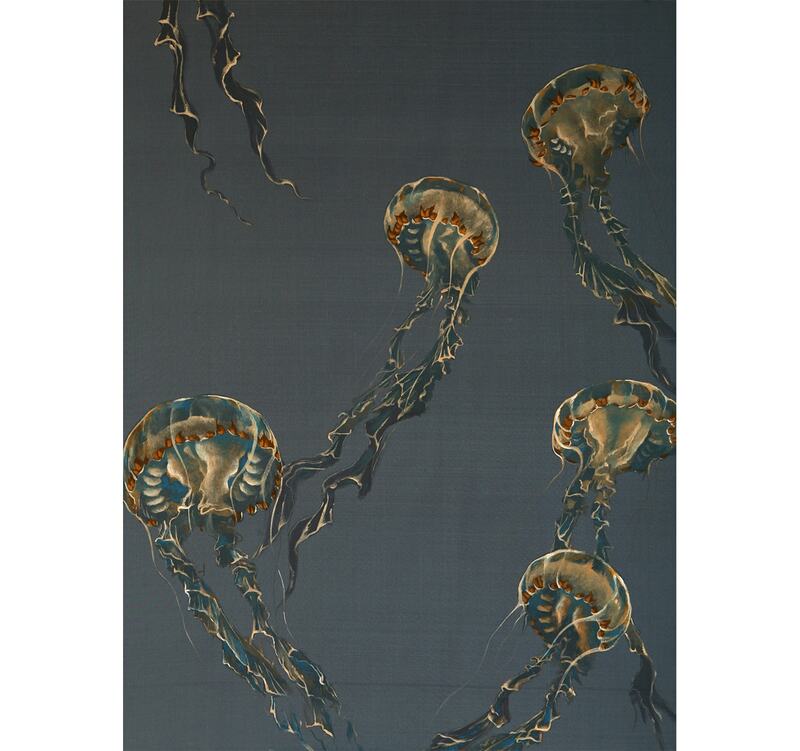 Meticulously hand painted onto silk or paper, this piece is crafted with unbelievable artistry and detail. 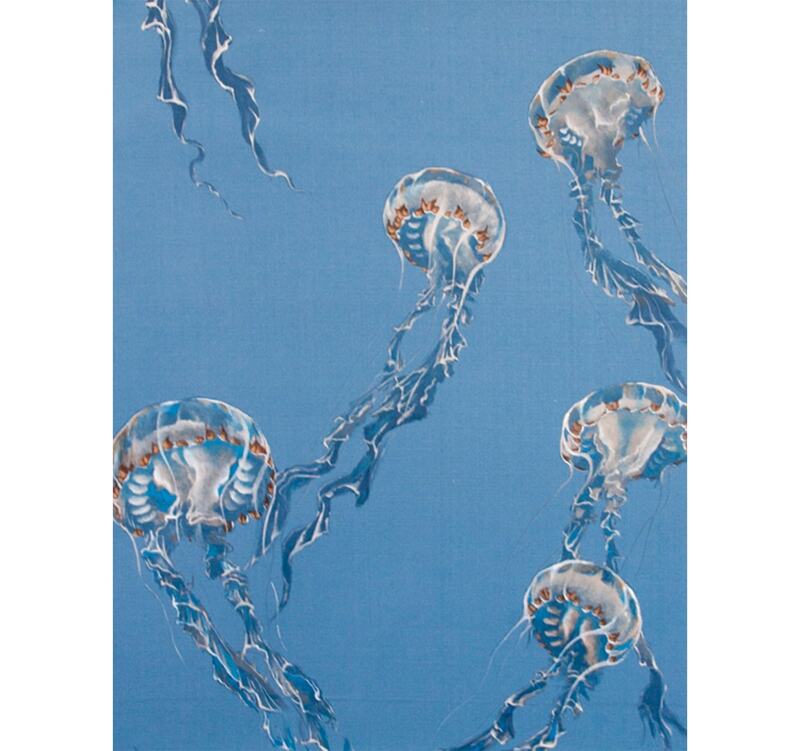 Available in a range of blues and custom shades.